a bright and shiny Christmas!. a bright and shiny Christmas! 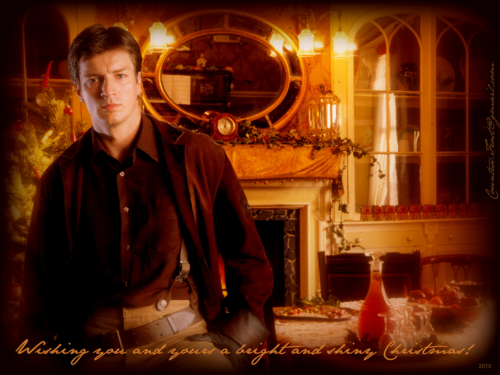 - 壁纸 created 由 TheCountess features Nathan Fillion as Captain Malcolm Reynolds from the TV 显示 'Firefly'. 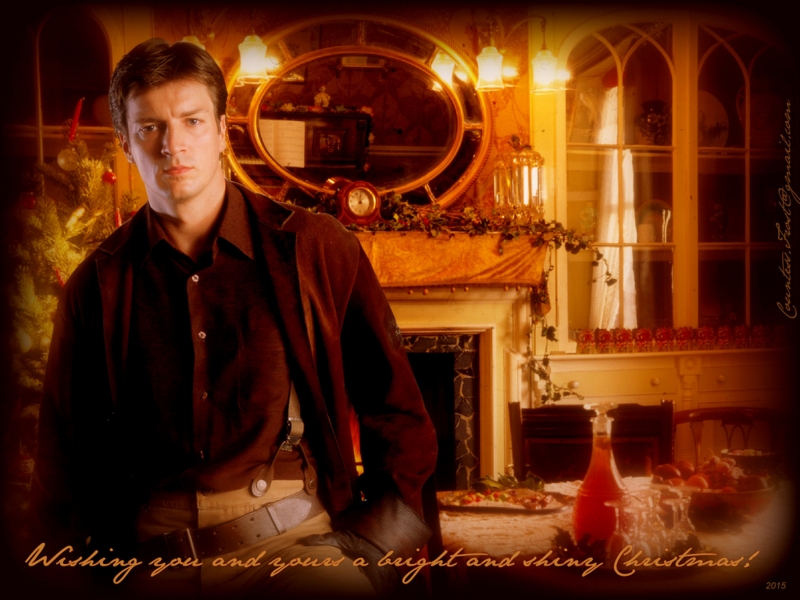 HD Wallpaper and background images in the Nathan Fillion club tagged: photo firefly tv show mal captain malcolm reynolds nathan fillion christmas fan art wallpaper thecountess. This Nathan Fillion wallpaper might contain 啤酒店, 小酒馆, 客厅, 客厅里, 街道, 城市风貌, 城市环境, 城市场景, and 城市设置.